This setting is the same as the one of "A Bad Good Man 1-4". Once upon a time, there were three men. 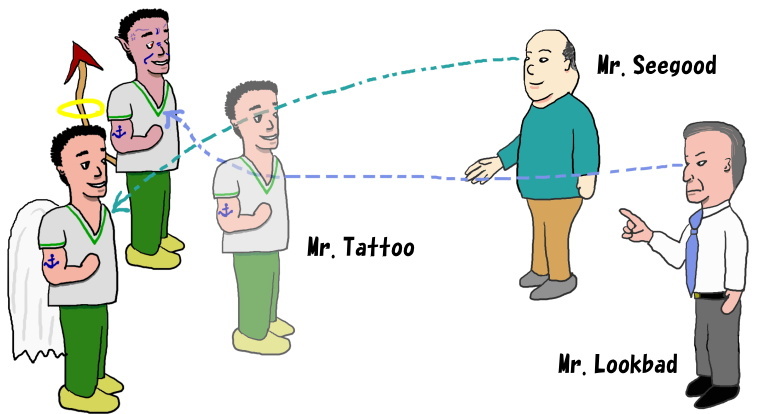 The first one is called Mr.Tattoo, and the other two are called Mr.Lookbad and Mr.Seegood. Mr.Lookbad perceives Mr.Tattoo as a bad man. Mr.Seegood regards Mr.Tattoo as a good man.